Oil in use accumulated oxidation products, solid particles and other impurities, which drastically reduce the quality of oil. Contaminated oil does not comply with operation requirements and needs to be replaced with new oil. Used oils are collected and reclamated to preserve the valuable base oil, which is economically profitable.Ingeneral, about 15% ofalloilisreclamatedandreusedtocreatenewoils. Processingofusedmotoroilstogetherwithfossiloil at regular oil refineries is impossible, since the additives in the oils disrupt the operation of fossil oil processing equipment. Depending on the reclamation process, it is possible to obtain 2-3 fractions of base oils, which can then be used to make new product oils by compounding and injecting additives (motor, transmission, hydraulic oils, cooling lubricants, plastic lubricants etc). Average output of reclaimed oil from used oil, assuming solids contamination of 2-4% and 10% water contamination is 70-85% depending on the applied process. allow to remove solid contamination particles, microdroplets of water and, partially, tar and carbon substances; evaporation allows removal of contaminants with low boiling point. Physical methods also include various mass and heatexchange processes, which allow removal of hydrocarbonoxidation products, water and volatile fractions. is the simplest method, based on natural gravity settling of solid particles water. Depending on contamination degree or time considerations, settling can be used either as a stand alone method or as a pre-treatment method in conjunction with filtration or centrifuge processing. The main drawback of this method is its long duration required for complete settlement of particles for purification, and removal of the larger 50-100 micron particles only. is the process of removal of solid particles and tar compounds by running the oil through mesh or porous barriers. Commonly used filter materials include metal and plastic meshes, felt, fabric, paper, composite materials and ceramics. One widely accepted practice is to increase the number of retainer filters (mesh filters) and use second stage fine filters. as the name suggests, uses centrifuges and is the most effective method of water and solid removal. This method relies on separation of different fractions under the influence of centrifugal forces. Centrifuge application allows reduction of contaminant content to 0.005% by weight, and reduction of water content to 0.6% by weight. are also widely used, including such processes as coagulation, adsorbtion and selective solution of contaminants; one of the variants of absorbtion methods is ion-exchange purification. i.e. enlargement of contaminant particles, which are present in the oil in colloid or dispersed state, is facilitated by special coagulant substances, which include electrolytes of organic and non-organic origins, surfacetant admixtures with no electrolytic properties, colloid surfactant solutions and hydrophilic highmolecular compounds. Coagulation process depends on the amount of introduced coagulant, duration of its contact with the oil, temperature, mixing effectiveness etc. Duration of coagulation of contaminants in used oils is usually around 20-30 minutes, after which time the enlarged particles can be removed from the oil by settling, centrifuge or filtration. of used oils uses the ability of certain substances (adsorbents) to bind the contaminants to the outer surface of granules or inner surfaces of capillars inside the granules. Adsorbers can be of natural origins (bleaching earth, bauxite, natural zeolite), as well as artificial (silicagel, aluminum oxide, aluminum silicate, synthetic zeolite). Absorbtion purification methods include contact method (oil mixed with higly dispersed absorbent), percolation method (oil moves through the absorbent), counterflow method (oil and absorbent move towards each other). Contact purification method’s drawback is the necessity to dispose of a large amount of absorbent, which has a negative impact on the environment. Percolation purification most often utilizes silicagel, which makes this method rather costly. The most promising method is the counterflow method, when the oil is purified in a moving flow of adsorbent continuously, without the need to stop to replace regenerate or filter the absorbent, however, this method requires complex equipment, which limits its wide implementation. is based on the ability of ionites (ion-exchange resins) to retain contamination, which are ionicaly dissociated in solved state. Ionites are solid hygroscopic gels, obtained by polymerization and polycondensation of organic substances, and are insoluble in water and hydrocarbons. The purification process may be either contact, mixing used oil with 0.3-2 mm ionite beads, or percolitic, making the oil flow through an ionite-filled column. As a result of the ion exchange, certain ions from the ionite grid are replaced by ions of the contaminant. Ionite can be regenerated by flushing it with solvent, drying and activation by a 5% solution of caustic soda. Ion exchange resins allow to remove acidic contamination from the oils, but does not remove tar substances. of used oils is based on selective solution of separate contaminants: oxigenic, sulfuric and nitrogenic componds, as well as polycylclic hydrocarbons with short lateral chains, which impair the oil’s temperature and viscosity properties. Some of the selective solvents are furforal, phenol and a blend of phenol with cresol, nitrobenzol, various alcohols, acetone, methyl-ethyl ketone and other fluids. Selective mixing can be conducted in mixing-settling type systems, which include evaporators for solvent removal (step extraction) or in two columns: extraction, which removes contaminants from the oils, and rectification to remove solvent. The latter option is more economic and is more widely accepted. One of the possible methods of selective purification is propane treatment of used oil, where the oil’s hydrocarbons are solved in propane, and asphalt tars colloids from the oil precipitate. Hydrogenationprocessesarebecomingmorewidelyacceptedforprocessingofusedoils. The methods advantages are increase of oil outputand quality and low environmental impact compared to acidic and absorbtion methods. The drawbacks of the process are high consumtion of hydrogen, as well as high threshhold of profitability, as much as 30 to 50 thousand metric tons per year. Hydrogenic purification equipment is usually located close to petrochemical oil processing facilities, which have an excess of hydrogen and abilities to recycle it. compounds, oxidation products and additives. The method produces sodium polymers and salts with high boiling temperature, which allows oil evaporation. Purified oil output exceeds 80 %. Theprocessdoesnotrequirehighpressureorcatalystsanddoesnotproducehydrogensulphideandhydrogenchloride. Several such units are in operation in France and Germany. 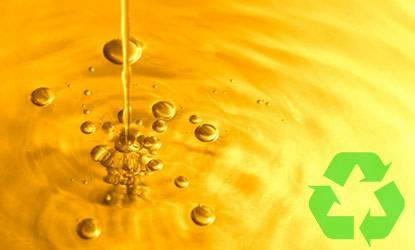 The best known technology of using a suspension of metallic sodium in petro oil is Recyclon (Switzerland). TheLubrex process, usingsodiumhydroxideandsodiumbicarbonate (Switzerland), allowsforproceessingofanyusedoilswith95 % yield. Used oils are reclaimed wih the help of various systems and equipment, combining several methods (physical, chemo-physical and chemical), which allows for reclaiming of different oil with various degree of quality drop. 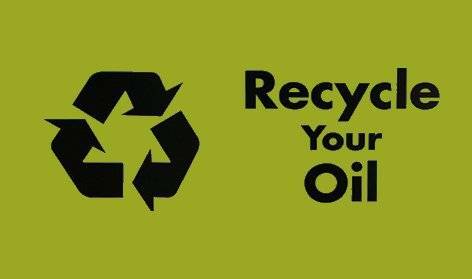 It should be noted, that reclamation of oils produces basic oil, identical to fresh oils, with the yield of 80-90% depending on the source, which makes it possible to reclaim the oils at least twice. This can be made possible with the help of modern technology processes. One of the factors with negative effect on economics of oil reclamation, is the expense of collecting, storage and transportation of oil to the processing site. One solution to decrease operating costs is to set up mini-plants to serve a relatively small area (with 1-1.5 million population), while production of high quality end product, motor oils and consistent lubricants, brings the economics of the process close to that of producing these oild from fossil oil.